The North American based Tesla carmaker is currently producing the most advanced electric cars and hybrids in the world, with basically no direct competitors for all its models whatsoever, except for the i3 and i8 from BMW. But even so, they are way ahead their time with exquisite drivetrains. Such an extraordinary car is the new Tesla Model S P100D which recently managed to set the fastest acceleration from 0 to 100 km/h, becoming thus the fastest production model in the world, which literally no modifications under the hood. 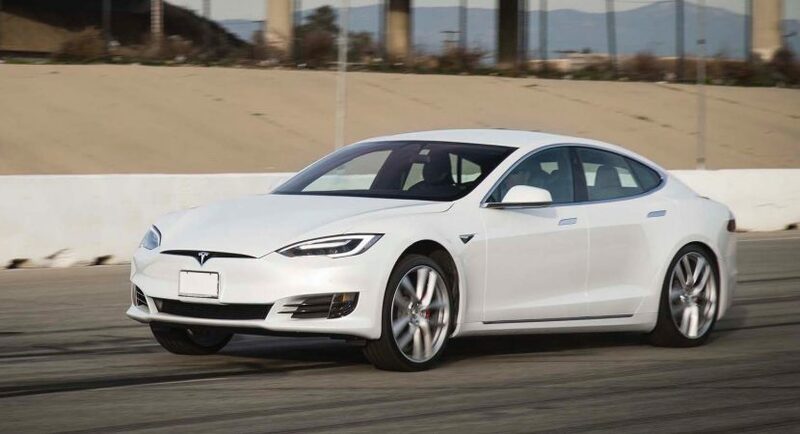 Motor Trend magazine has managed to take the Tesla Model S P100D out for a spin, the perfect occasion to push the pedal to the metal and run the whole straight line from 0 to 100 km/h in a whopping 2.2755 seconds. This brings it extremely closer to supercars like Ferrari LaFerrari, McLaren P1 or Porsche 918 Spyder, with the latter one managing to run the same sprint in 2.4 seconds. With this figure in mind, the Model S P100D has surely secured its place in the record books. The car`s outstanding achievement was also due to the powerful 100 kWh lithium ion-battery paired to two impressive electric motors, developing an overall 680 horsepower.